About 1.6 million Apple Watches were shipped during the June quarter, according to estimates released on Thursday, but while still dominating the smartwatch market, Apple also saw its share drop amid growing competition. The company's marketshare slipped from 72 percent a year ago to 47 percent, research firm IDC said. 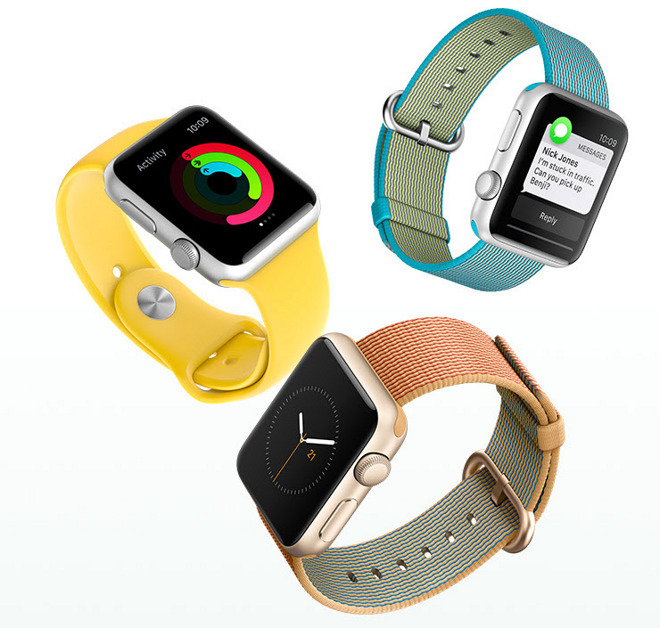 During Q2 2015, the launch quarter for the Watch, Apple is believed to have shipped about 3.6 million units. All of the company's main competitors in the space —Samsung, Lenovo, LG, and Garmin —saw unit increases, though even second-place Samsung shipped approximately 600,000 units. Garmin is thought to have sold just 100,000, though that company targets a narrow audience of athletes and fitness enthusiasts. Apple's decline lead to the first-ever year-over-year drop for the smartwatch industry as a whole. IDC analyst Jitesh Ubrani commented that Watch sales have stalled since early 2016, as some customers have been waiting for a hardware refresh, and watchOS 3 isn't due until later this year. The latter will make significant improvements for current owners, such as much faster app loads. Rumors about a second-generation Apple Watch have been largely mute in recent months. One report did claim that the wearable could feature a faster "S2" processor and a built-in cellular connection.